The largest maker of plastic houseware in North America wants to build a plant in Davenport. If local and state incentives are approved, Sterilite Corporation will invest $73-million in the facility and create hundreds of jobs. While sounding confident, Mayor Frank Klipsch emphasizes many steps must still be taken before ground can be broken. The steps include creating a tax increment financing district, public hearings on various aspects of the project including a final agreement between the city and Sterilite, and help from the state in the form of grants, loans and job training assistance. Klipsch remains optimistic it’ll all happen. 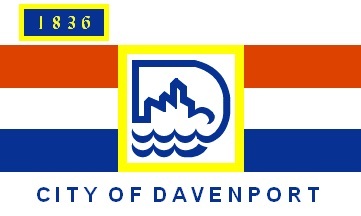 The 2.5-million square foot facility would be Davenport’s largest building. It would be located in the Eastern Iowa Industrial Center at Interstate 80 and Northwest Boulevard. Sterilite’s product line of plastic housewares includes food storage, laundry, and utility products. It now has plants in six other states. City incentives would total more than $17-million, split between infrastructure projects like road and utility connections and long-term property tax rebates. The state of Iowa will be asked to help pay for some of the infrastructure improvements and provide job training assistance. Ground could be broken this spring and the new plant could open in 2018 with 150 jobs initially, growing to 500 total jobs.